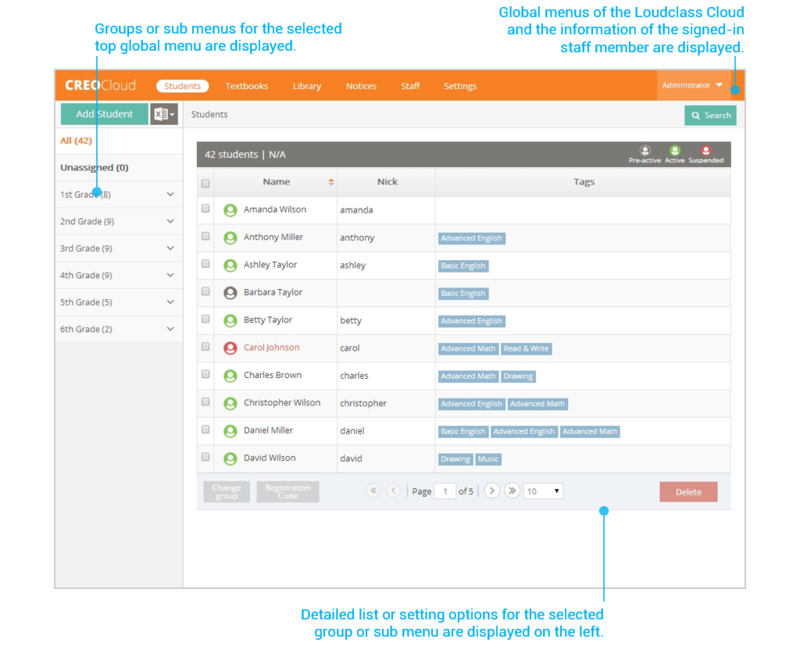 Loudclass Cloud manages the overall settings related to class attendees and content. It is accessible via mobile device and PCs. 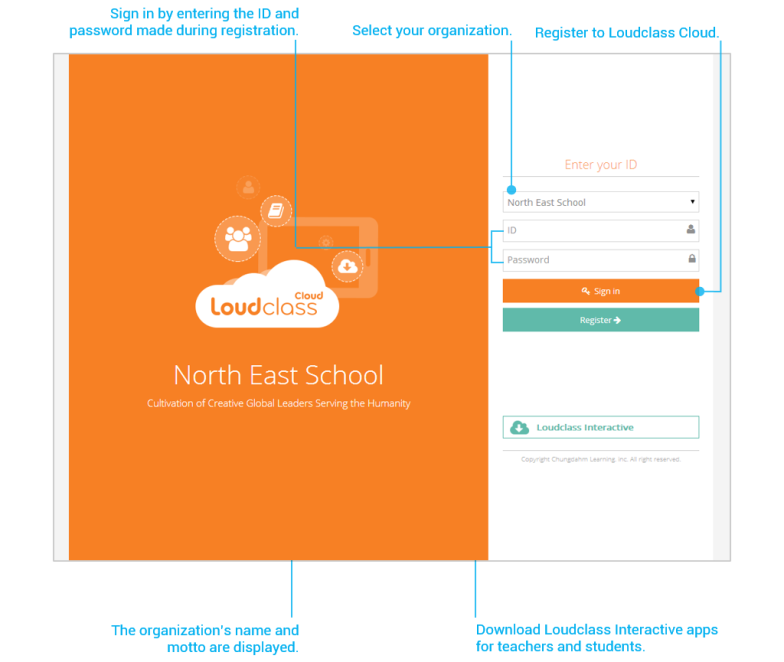 Administrative settings and uploaded content are stored on the server and synced with Loudclass Interactive for a seamless classroom experience. Sign-in page : Sign-in or registration page for Loudclass Cloud. Basic layout : Menus to manage classes and content are provided on one screen. The global navigation bar at the top of screen shows the main menu choices and sub-menus are displayed on the left side of the screen.